Think of a beach getaway in Thailand and chances are somewhere like Phuket or the Phi Phi Islands springs to mind. While amazing, these places are tourist hotspots, which means they're not necessarily the best choice if a bit of peace and quiet is what you're after. Khao Lak, however, is another matter. You'll find Khao Lak mainly in the Takua Pa District (though it's also partly in the Thai Mueang District), where it stands as a much quieter, more secluded destination than nearby Phuket. 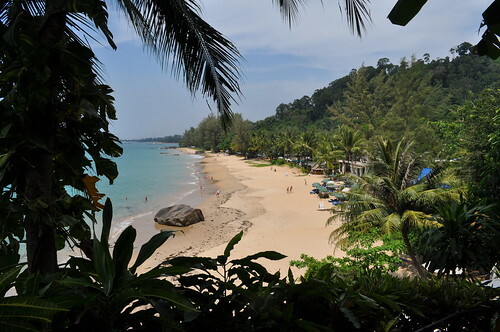 Khao Lak is home to a series of stunning beaches, which are backed by forested hills. The town itself, which sits behind the beaches, isn't as scenic as the coastline, so I'd recommend picking one of the many luxurious seaside hotels (you can check out your options at Hayes and Jarvis). As well as beach-based attractions, Khao Lak is fringed by some spectacular national parks, while it's also a good base for exploring local islands. Let's talk about some of those national parks I mentioned a moment ago. Without doubt, you should definitely aim to visit Khao Lak/Lam Ru National Park, which is the area just to the south of Khao Lak beach. At around 125 sq km in size, it certainly gives you an awful lot to explore, and it's pretty much guaranteed to be a hit with nature lovers. Ton Chong Fa Nature Trails, which span 5 and 7 km. As a quick tip, I'd recommend popping into the visitor centre too - there's a restaurant here that has gorgeous sea views. Also worth visiting is Khao Sok National Park. 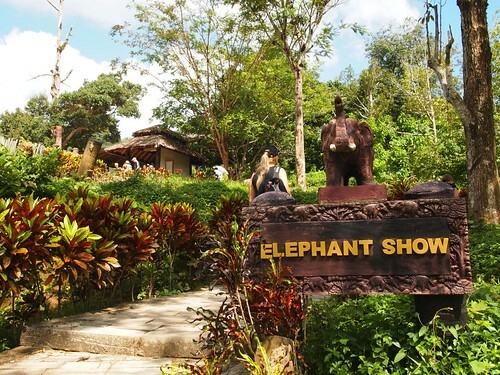 For me, the highlight of this place is definitely Elephant Hills, where you can do things like meet elephants and go on jungle treks - perfect for adventure lovers! Chances are that if you're planning to visit somewhere like Khao Lak, you're pretty keen on spending some time either sunning yourself on the beach or trying a few water sports. In my opinion, one of the absolute best things to do here is go scuba diving - not only can you see stunning coral and amazing creatures like rays, turtles and more, but there's also a wide array of diving options to choose from. For instance, a lot of the companies here offer 'live-aboards' (for those of you who haven't done this kind of thing before, these are where you have at least an overnight stay on a ship, though these usually span several nights) - Sea Dragon Dive Center and Similan Diving Safaris are just two examples. 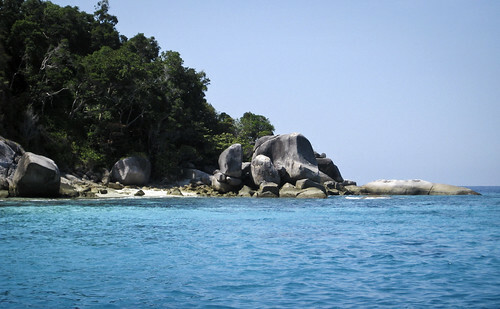 You can also simply opt to go on day trips to places like the nearby Similan Islands for snorkelling or scuba diving. There's plenty of scope for excitement when staying on dry land, too. One of the top options is check out the network of beach trails that runs between Khao Lak and Bang Suk, many of which lead to deserted, paradise-like beaches. You can walk these, but it's also fun to explore them by motorbike (you'll find it easy to hire one locally).